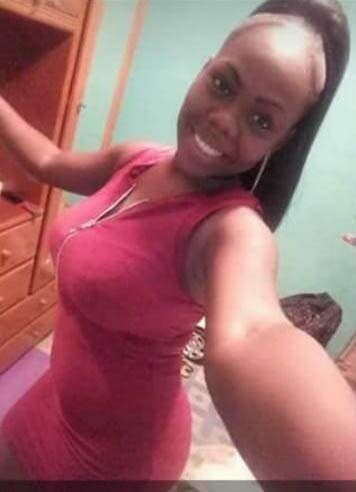 TEHILLA ST CLAIR, 27, was chopped to death in front of her five-year-old son – her only child – at her Palo Seco home on Monday night. Neighbours found her covered in blood on the kitchen floor of her Beach Road home. Police say around 11.30 pm, a 32-year-old suspect, who has since been arrested, broke into St Clair’s home, holding a cutlass, grabbed her son and then chopped the child on the face. Police believe St Clair got between the man and her son, and the man continued to chop her. There were wounds on her head, neck, chest, and legs. When neighbours arrived at the house, St Clair was already dead. The child was taken to the Siparia Health Facility, where he was treated and later discharged into the care of relatives. 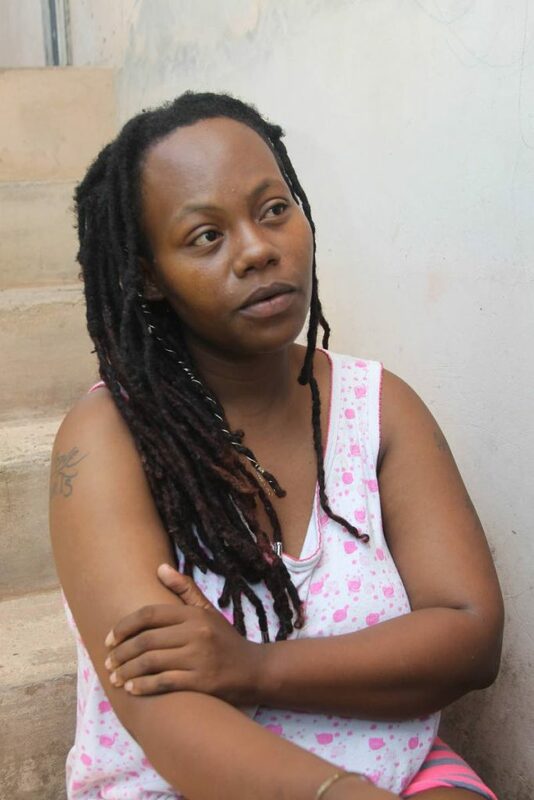 St Clair’s family said she had recently ended a relationship with the 32-year-old man after six months. Her sister Angel said she had warned St Clair about him. A SISTER’S PAIN: Angel St Clair, the sister of Tehilla St Clair who was chopped to death at her Palo Seco home yesterday, speaks with Newsday yesterday. Speaking to Newsday yesterday, an emotional Angel said she still feels as if she is dreaming. “I just want to wake up from this bad dream and call my sister and tell her what is she cooking and to come over for lunch,” Angel said. St Clair lived near her sister in the village of Beach Road. Holding back her tears, Angel recalled a phone call from their father Basil, saying her sister was in trouble. Angel, 29, said she rushed out and looked in the direction of her sister’s house, but could not see any movements. It was only when she ran downstairs that she saw her five-year-old nephew bloodied and crying. It was then that a group of villagers ran to rescue St Clair, but they were too late. “My sister was always a brave person, and when her son described how she saved his life by coming in front of this monster, I know it is something she would have done. My sister would have protected her son by any means. It was the type of mother she was.” Angel said. Three weeks ago, she said, her sister had ended the relationship with the man and he threatened to kill her and burn down her house with her child inside. St Clair had reported the threats to the police. Shortly after midnight, police found the suspect hiding behind an abandoned house in the village. The man, originally from Arima, is being interviewed by Homicide detectives. Reply to "HE KILLING MUMMY"